Flippin' it over and livin' life on the B-side. 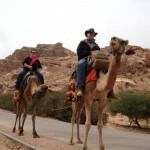 Petra – Rocks & Caves & Camels, Oh My! © 2019 - Better on the B-Side Designed on rtPanel WordPress Theme Framework.